Another retreat, except this time, I only created three layouts. This was probably because I was hosting it and as an organiser, you do spend much more time making sure everyone else is ok, rather than actually getting any scrapping done! Not to worry! 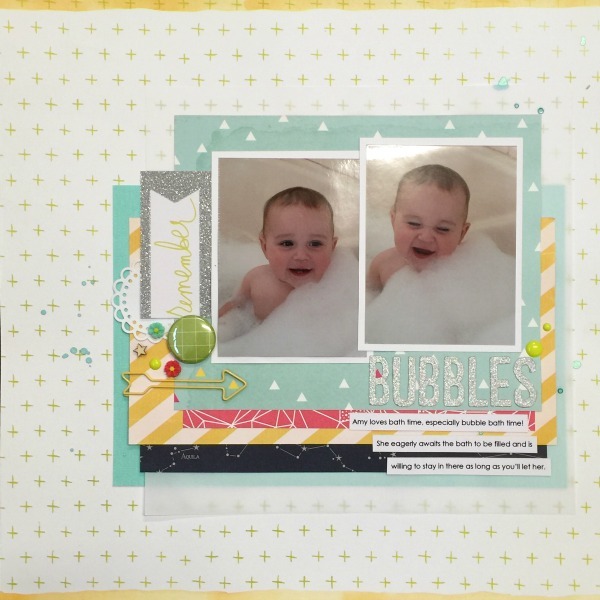 The first layout, Bubbles, was created for a Scrap the Girls challenge. One product I am loving at the moment is vellum. It is great to soften brighter papers. Oh my sweet baby, where has the time gone? !